What if Money was no object? What would I do if I didn’t have to worry about paying bills, feeding my family, etc. I always find myself in a duality when I think about this. Money is an object. Money is what pays for the food and the shelter. Money fuels the car. Money pays for the electricity. How much house do you need? How much food do you need? Why do you need fuel? The answer to these are sometimes simple and sometimes convoluted. The deeper the story gets, you may need to unravel to get to the truth. We unraveled a bit last year, we got rid of one of the cars. We are now a one car family. We are also a 6 – 8 bike family. We bike all over town, to Groceries, to chiropractor, to visit friends, etc. It’s increased our happiness and lowered a bills. Need to lower the bills a bit more before I quit my day job… But finding passion and connection with the idea in the video below will remind you, money is not the object. Money is not the destination. 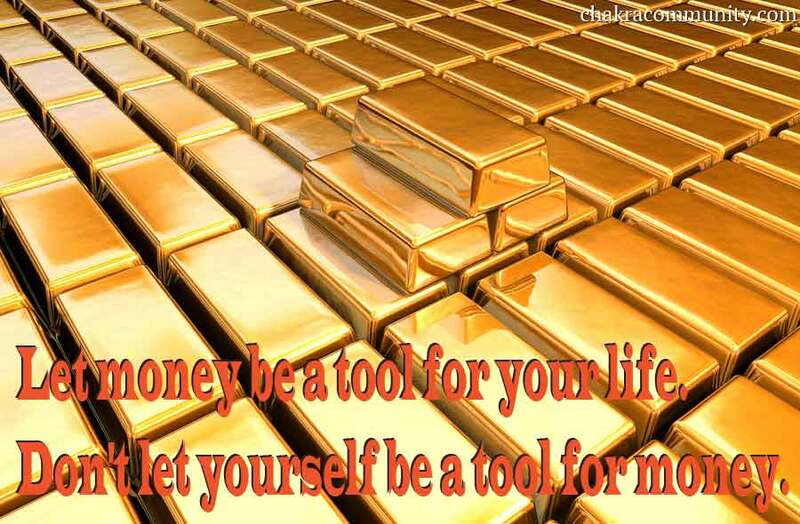 Let money be a tool for your life. Don’t let yourself be a tool for money. I’ve been editing a releasing old blog posts with new memes on facebook (ChakraChime) and instragram (ChakraCommunity). If you haven’t already, liked us on facebook https://www.facebook.com/ChakraChime feel free to do so now. Here are a few popular links to stories that have been well received on facebook. Breathing Through Transition – We love births! We love having a new life to wonder over and to see the world through fresh eyes. But for a parent, birth is merely a transition state. After the birth, your work isn’t over. Nurturing this newborn is a lifetime practice.